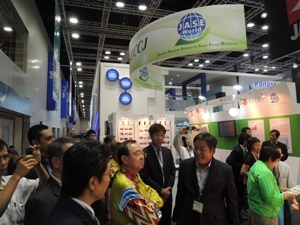 Exhibitors : 332 companies, Visitors: 60,000 persons In JASE-W's booth, we displayed panels and explained our activities such as dispatch of mission, exhibition, and "Japanese Smart Energy products and technologies". 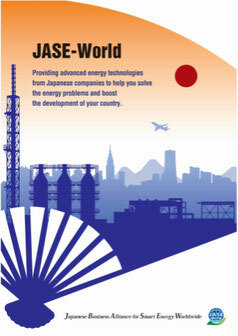 In cooperation with Heat Pump Thermal Storage Center of Japan, we demonstrate the principle models and it was well received. 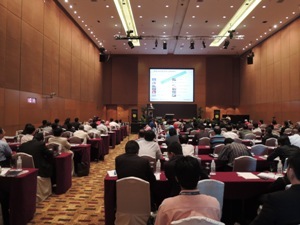 At the Seminar, Tokyo Gas Co., Hitachi Zosen Corporation, Yokogawa Electric Corporation, Ltd, TLV Engineering Sdn Bhd, Tokyo Electron Limited, and Sumitomo Mitsui Banking Corporation introduced their own products & Technologies and more than 140 people have participated. After that, the networking meeting was held and it was a good opportunity to exchange information and opinions.